Home Expressions Interiors by Laura Bloom Inc.
Voted Best of Houzz for Customer Service for 2017, we create life-changing environments by offering innovative solutions for our clients. We offer architecture and interior design services for both Residential and Commercial projects. By focusing on the outcome of our projects, we provide our clients with not only good design, but the benefits of increased sustainability, privacy, security, a healthy/safe environment, and greater employee/customer satisfaction for higher productivity and profit. Our signature works can be seen in homes and businesses located in the metro Atlanta area, in private residences in Texas, Florida, Arizona and also inter-nationally. Our unique approach blends John’s extensive architectural and construction knowledge with Ann's expertise for creating one–of-a-kind interiors that incorporate classic elegance with a modern feel to reflect the client's lifestyle and work space. These spaces capture the look, feel, and atmosphere they are looking for. Services include consultations, providing design and construction drawings for new construction; as well as, all types of renovations and additions, choice of selections of all finishes and furnishings for interiors and also outdoor spaces. We also offer additional services to include project management and planning. Let AJW Designs, Inc. create that space you've always dreamed of. 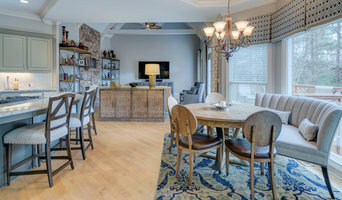 North Atlanta's Client Focused Interior Designer | Best of Houzz! Atlanta's Full Service Design Build Firm - Best of Houzz 2018! 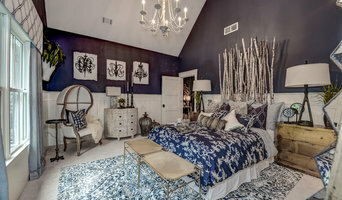 B Interiors is an interior design firm in Alpharetta. B Interiors offers clients 17+ years of experience in the design industry and a passion for helping clients create unique spaces designed around their lifestyle.